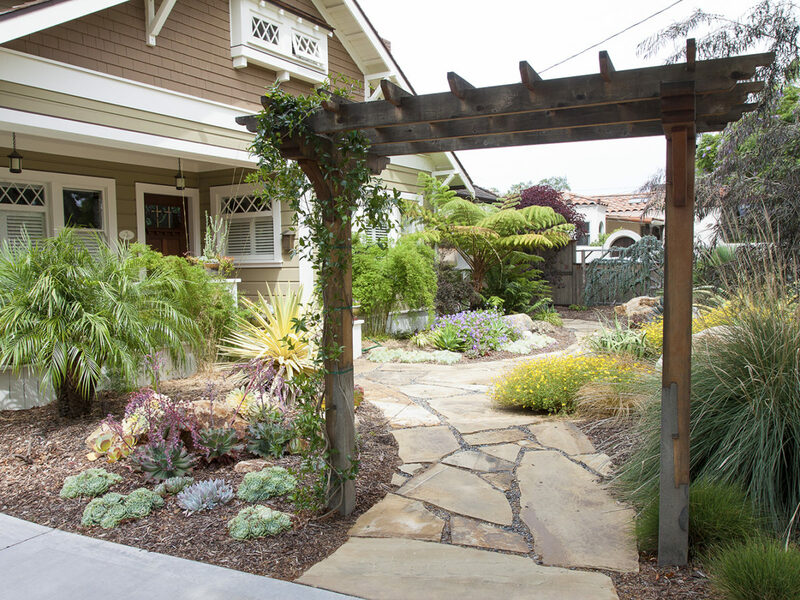 To anyone who lives and breathes succulent gardens, Debra Lee Baldwin is a household name. Dubbed “The Queen of Succulents,” her first book, Designing with Succulents, helped launch the succulent craze in 2007. Since then, she has written three more best-sellers plus a coloring book that sold out everywhere. Baldwin recently released a completely revised second edition of Designing with Succulents. We were lucky enough to get a copy and couldn’t wait to dive in. Here’s what we found in these 300 pages of succulent mastery. We loved learning more about the relationship between rock and succulent plants. 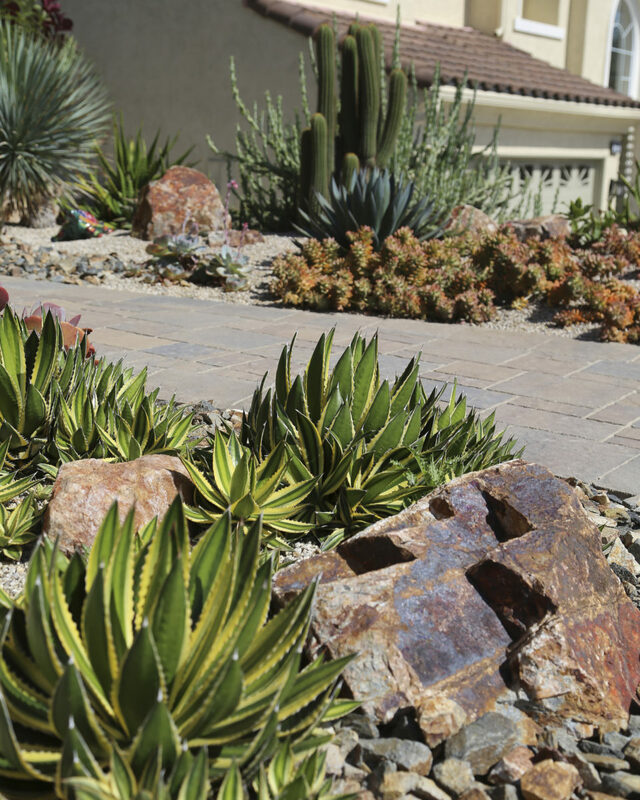 Baldwin points out many key benefits to incorporating stone in your succulent garden. 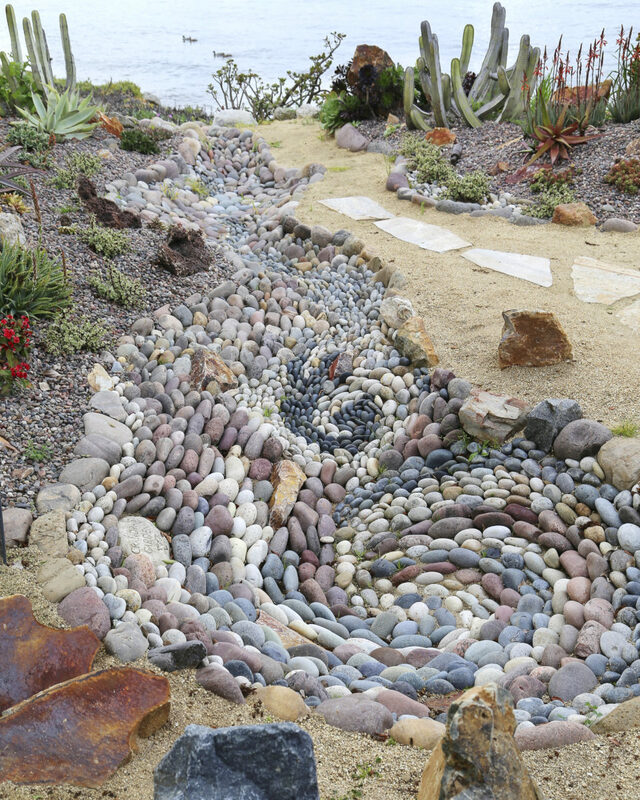 Here are a few reasons why you should include landscape rock in your succulent garden. Use statement rocks intentionally. In general, stick to natural rock that matches your local surrounding area. 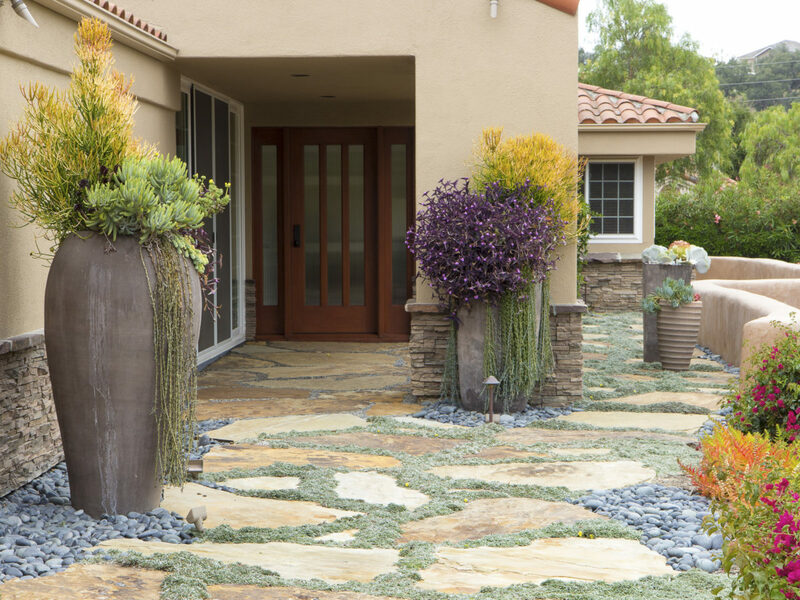 Unless making a statement is your desired effect, be careful not to use a boulder that is too different or stands out too much; it can steal the show instead of creating harmony in your succulent garden design. Balance large rocks with the size of your home, placing them carefully to balance out your home’s features. For example, if you have a deck on the right side of your house, place a large boulder on the left. 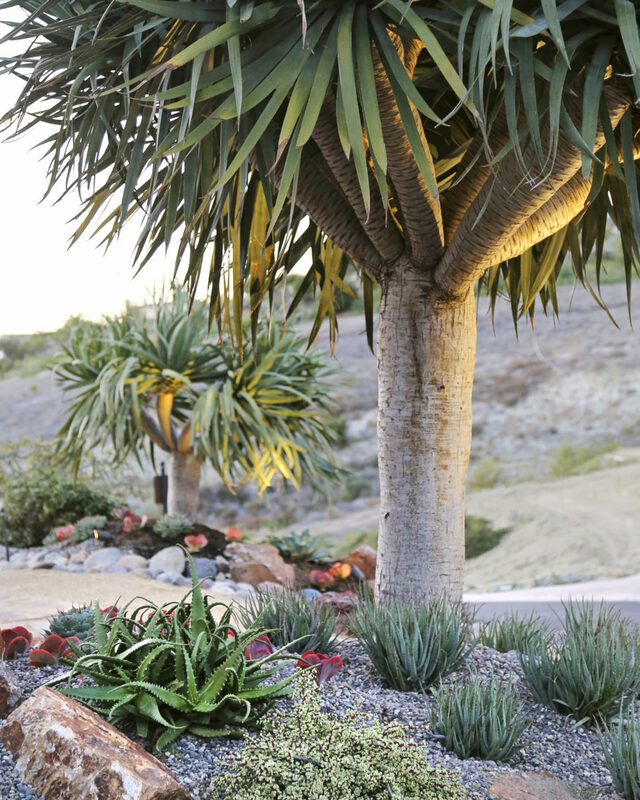 When placing boulders in your succulent garden, start with the biggest one first and intentionally choose the location – it will be your most noticeable focal point. From there, move to your second biggest stone, and so on. Partially bury large rocks so they appear more natural. We recommend burying about 1/3 of your boulder in the ground. 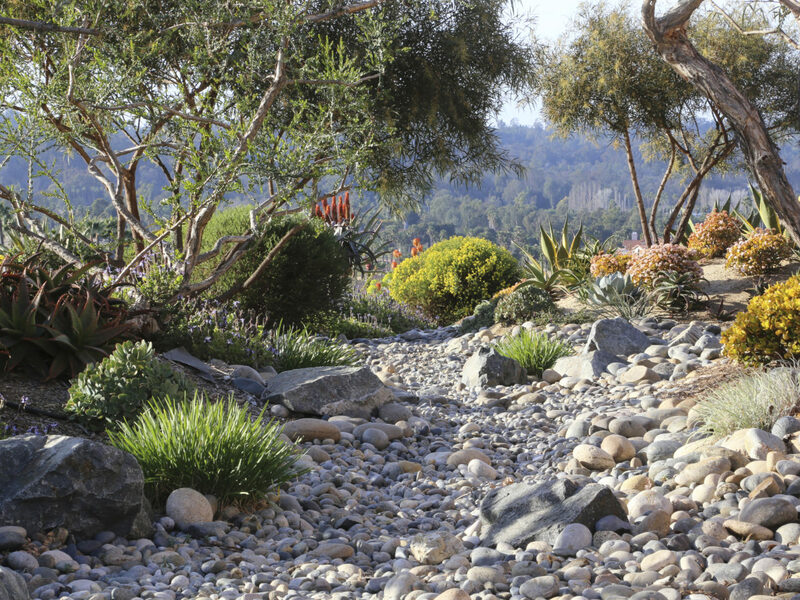 For more information, read our blog post on adding boulders to your landscape. 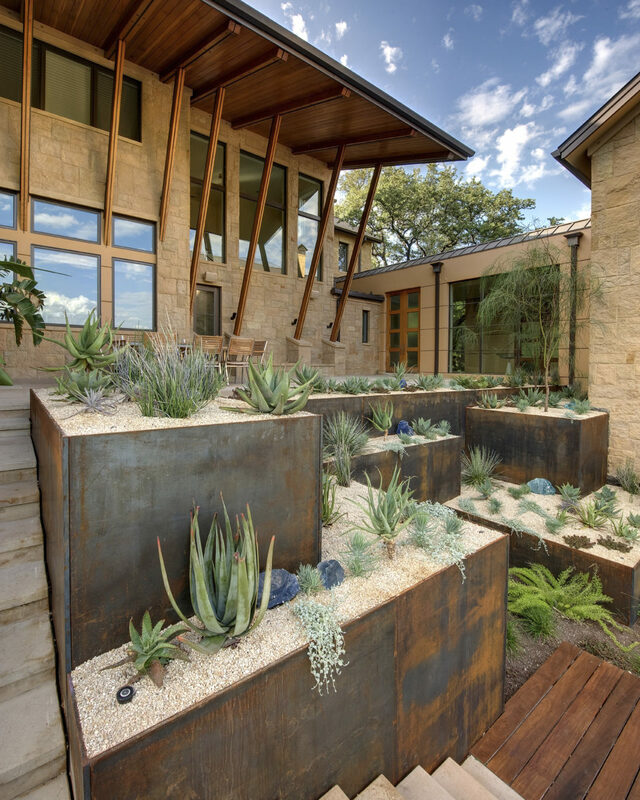 The new edition of Designing with Succulents is the modern gardener’s dream. Each chapter packs tons of detail including pictures, specific examples, and personal suggestions. “I’ve been lucky enough to see Debra speak during a San Diego Horticultural Society Master Gardener’s seminar. If you have the chance to attend one of these seminars, you won’t be disappointed. She truly is the Queen of Succulents.” – Southwest Boulder & Stone owner, Michelle McLeod. If you find succulents interesting, you will love this book. Baldwin provides a linear path from initial design to post-installation care. The book is a fun and interesting read that we highly recommend. Learn more about Debra Lee Baldwin and check out all three of her best-selling books on her website, DebraLeeBaldwin.com. Sign up to receive exclusive offers, landscaping tips, and featured projects sent directly to your inbox. Southwest Boulder & Stone is thrilled to announce the addition of Riley Fritsch, stone fabricator and master artisan extraordinaire, to our team.